Mitsubishi's eco cars receive minor exterior changes and new equipment. The 2017 Mitsubishi Attrage and 2017 Mitsubishi Mirage have been revealed for the Thai market with minor exterior changes and new equipment. Changes made exclusively to the Attrage sedan are updated taillamps with redesigned graphics and a restyled rear bumper. 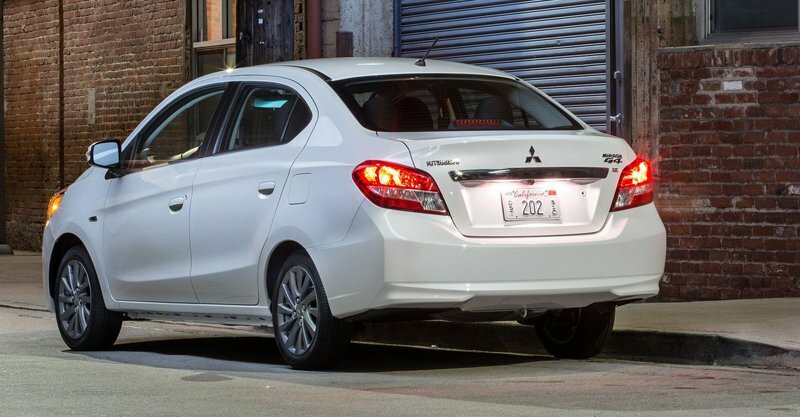 On the exterior, the only changes made to the Mitsubishi Attrage are the updated taillamps with redesigned graphics and a restyled rear bumper, while the Mitsubishi Mirage gets LED DRLs on the front bumper. Inside, both models get an updated 6.5-inch touchscreen infotainment system which now supports Apple CarPlay and Android Auto connectivity, steering mounted buttons for voice commands and Bluetooth telephony, new leather upholstery with contrast red stitching, a headrest for middle rear seat passenger, ISOFIX child seat anchor points, and cruise control. As standard, both the Mirage and Attrage come equipped with ABS, EBD, Brake Assist, ASC (stability control), Hill-Assist and dual airbags. 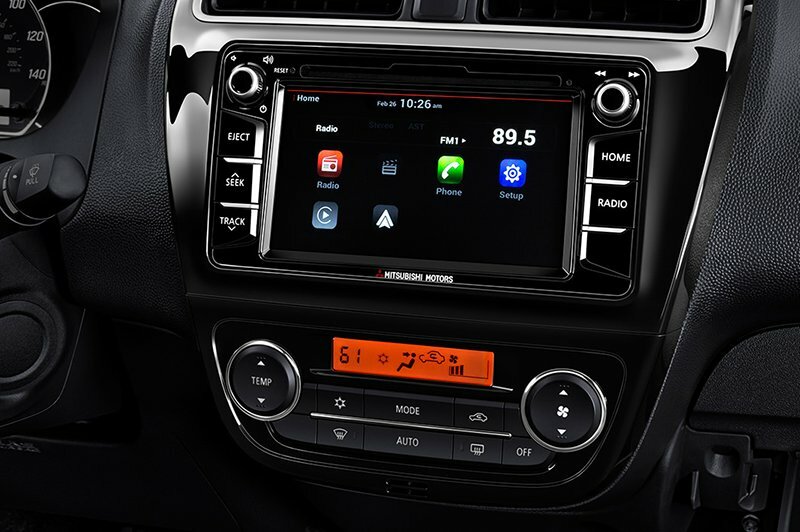 Both models get an updated 6.5-inch touchscreen infotainment system which supports Apple CarPlay and Android Auto connectivity. Under its hood is the same 1.2-litre MIVEC three-cylinder petrol engine that produces 78 hp at 6,000 rpm and 100 Nm of torque at 4,000 rpm. The GLX grades of the Mirage and Attrage is fitted with a 5-speed manual transmission as standard, while CVT (continuously variable transmission) is available for all three grades.